Tinting your head or tail lights is an exciting way of improving the look of your car without going to any great expense. Mr Tint supplies and installs Spi-Vision, which is a product designed for tinting car lighting and gives your light clusters a smoked tint effect while keeping the lights safe and legal. Spi-vision has been manufactured to comply with current MOT regulations and is completely road legal. Spi-vision is a road legal, perforated vinyl and can be used to tint any style of car lighting, including headlights, tail lights, high level brake lights, fog lights, side repeaters and even mirror mounted parking lamps. The perforated design of Spi-vision gives the light cluster a smoked tint effect while still allowing the legally mandated level of light to travel through. The installation of Spi-vision does not require the light cluster to be removed from the car, making it quick and easy to install. 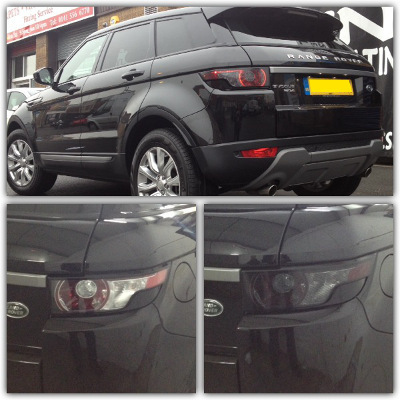 Once fitted, the light clusters can be washed as normal and requires absolutley no maintenance. When making any modification to a vehicle it's always a good idea to use the correct materials that are fit for purpose. Certain head and tail light tints on the market can cause problems come your annual MOT, but Spi-vision is completely road legal and is designed to pass the MOT benchmark. :: Head lamps must be clearly visible and must show a steady white light to the front (or yellow if incorporated in a yellow head lamp). :: Stop lamps and fog lamps must emit a steady red light to the rear. :: Indicators and hazard warning lamps must emit amber light. :: Reflectors must show red in colour. :: Light surfaces must show at least 50% of the illuminating surface. :: 50% of the light cluster is not visible. :: The light shows colours other than red to the rear and white to the front of the vehicle. :: Indicators show a colour other than amber. :: Reflectors show a colour other than red. Mr Tint supplies and installs Spi-vision, which is manufactured with a perforated mesh effect which ensures MOT guidelines are met keeping your vehicle safe and legal. 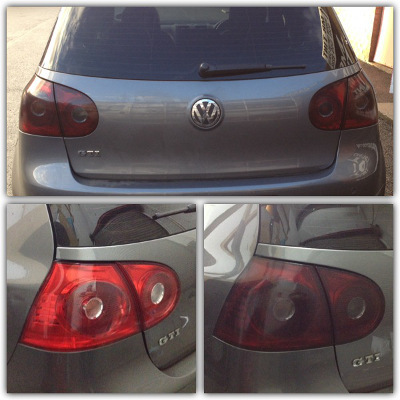 By tinting your car lighting with Spi-vision you will PASS your MOT.